Tease your palate, we dare you. From September 10-Decemer 2, as guests of Mondrian Los Angeles you are invited to experience our restaurants and lounges where you’ll be treated to unique plates and creative cocktails. 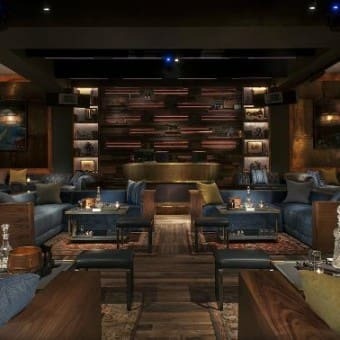 Enjoy a Hyde Martini at Hyde Sunset, Crispy Rice with Spicy Tuna at Katsuya Hollywood, L.A. Live & Brentwood and more. Cleo Third Street, located within the Orlando Hotel in West Hollywood, is at the epicenter of Los Angeles' shopping and dining scene. The award-winning restaurant concept offers a warm, social setting for dining on sharable dishes that combine local flavors with modern accents, inspired by the diverse cultures found along the Mediterranean – all paired with an inventive list of signature craft-cocktails. 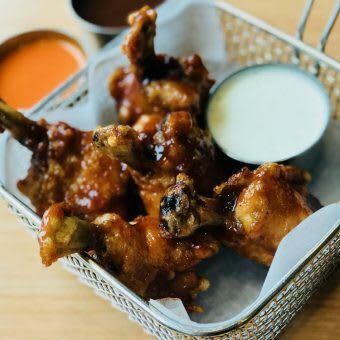 The restaurant features a stunning mural, bustling dining room open all day, and takeaway window to serve fresh pressed juices, making it the perfect destination for any meal or occasion. Located on an iconic corner of the sunset strip, Hyde Sunset Kitchen + Cocktails represents a welcome evolution in cuisine and nightlife as West Hollywood's latest hospitality experience. 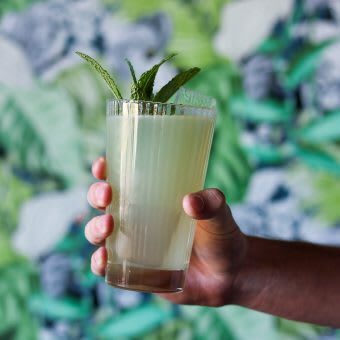 This hybrid Los Angeles destination features fresh seasonal California cuisine, signature craft cocktails and an elegant yet inviting ambiance curated by acclaimed designer Waldo Fernandez. A favorite among local foodies and nightlife connoisseurs alike, Hyde Sunset Kitchen + Cocktails is sure to charm any palate with delicious dining, enticing energy. The Umami Burger first dropped on Los Angeles in 2009, immediately becoming a must-try burger and positioning itself firmly on the city’s best restaurant lists, and the nation’s best burger lists. Cleo Third Street, located within the Orlando Hotel in West Hollywood, is at the epicenter of Los Angeles’ shopping and dining scene. 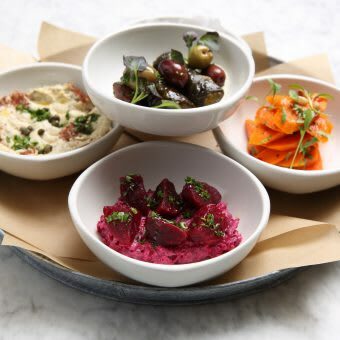 The award-winning restaurant concept offers a warm, social setting for dining on sharable dishes that combine local flavors with modern accents, inspired by the diverse cultures found along the Mediterranean – all paired with an inventive list of signature craft-cocktails. 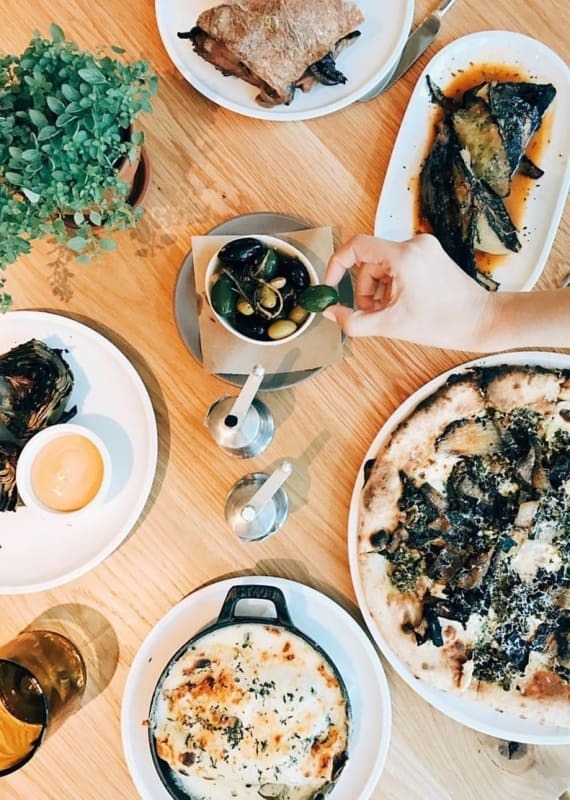 The restaurant features a stunning mural, bustling dining room open all day, and takeaway window to serve fresh pressed juices, making it the perfect destination for any meal or occasion. Inspired by traditional, Iconic, Angeleno beauty, Doheny Room is a stylish neighborhood bar and lounge with an eclectic menu of multicultural shared plates, decadent desserts and classic craft cocktails. Its interior conjures an elegant LA charm with abundant native greenery, a fresh palette and floor-to-ceiling windows. The room’s refined ambiance, makes it a popular destination for after-work dinner parties and private receptions. Located on an iconic corner of the sunset strip, Hyde Sunset Kitchen + Cocktails represents a welcome evolution in cuisine and nightlife as West Hollywood’s latest hospitality experience. This hybrid Los Angeles destination features fresh seasonal California cuisine, signature craft cocktails and an elegant yet inviting ambiance curated by acclaimed designer Waldo Fernandez. A favorite among local foodies and nightlife connoisseurs alike, Hyde Sunset Kitchen + Cocktails is sure to charm any palate with delicious dining, enticing energy. Experience the first annual Taste of sbe Los Angeles presented by Rolling Stone Magazine! 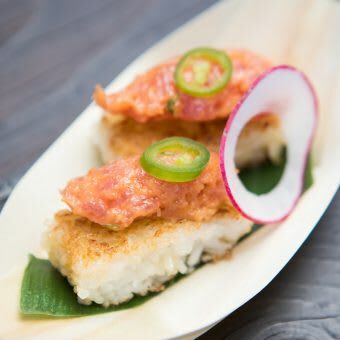 Enjoy a weekend of food events featuring custom tastings and experiences at select sbe restaurants, culminating in an epic three days of epicurean delights showcasing Katsuya, Cleo, Umami, Diez y Seis, Fi'lia, and Leynia and benefitting the Make-A-Wish Foundation. For additional event information and ticketing inquiries, please contact tasteofsbe@sbe.com. Saturday, October 20 | 11AM - 1PM: Brunch at Cleo Third Street hosted by Chef Danny Elmaleh. Saturday, October 20 | 2PM - 5PM: Private shopping experiences at Rodeo Drive Locations, Sushi Rolling Classes at Katsuya Brentwood, and exclusive treatments at Ciel Spa at SLS Beverly Hills. Only available with All-Access ticket purchase. Saturday, October 20 | 7PM - 11PM: Grand Dinner at Skybar at the Mondrian featuring Celebrities & All Star Chefs, with a special performance in collaboration with Rolling Stone Magazine. Saturday, October 20 | 11PM - 2AM: Hyde Sunset After party with a special performance. Sunday, October 21 | 11:30AM - 2:30PM: Enjoy an all-you-can-eat Farewell Brunch at West Hollywood staple Doheny Room. In partnership with Diageo, Evian, Fever-Tree, Heineken, Lincoln, Moet Hennessy, Pure Leaf, and Red Bull.